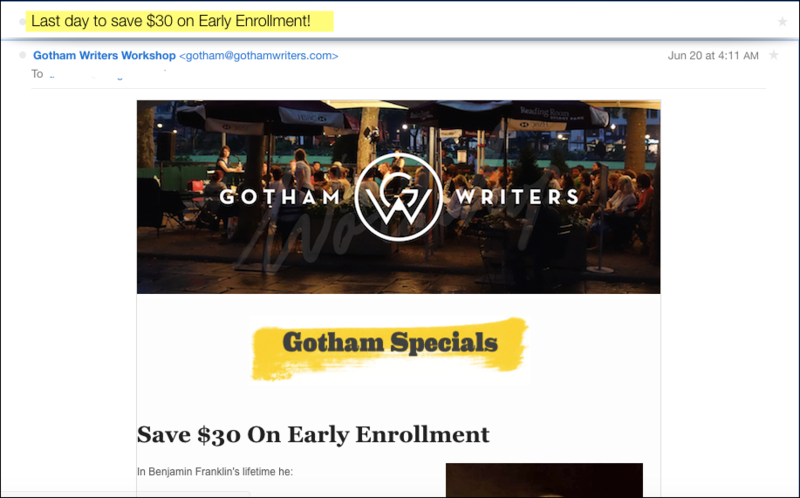 Triggered emails are an essential component of every successful email marketer’s retail digital strategy. They have the benefit of not landing in the spam or junk folder because they are usually sent when someone interacts with your brand. We take for granted the ‘Welcome Email’ because it seems like a no-brainer but it actually behooves you to send one. According to ReturnPath, people that read at least one welcome message read more than 50% of their messages from the sending brand during the following 180 days. 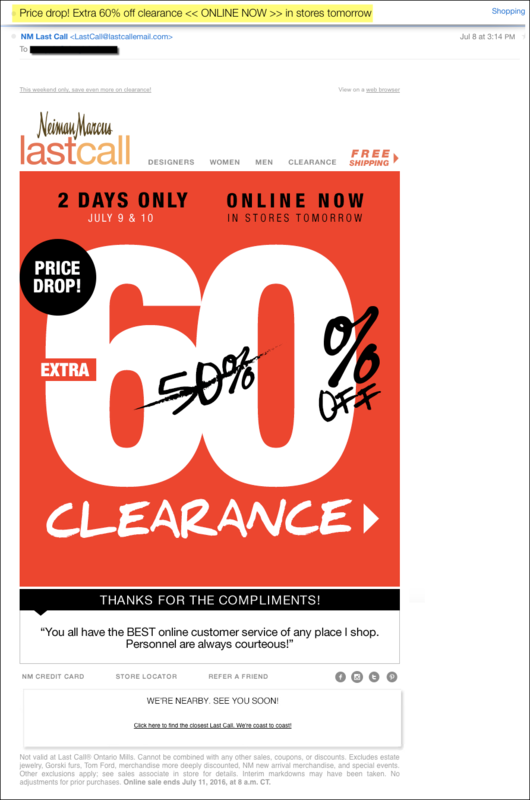 There are many other types of triggered emails a retailer can send that can have just as much of an impact on your bottom line. 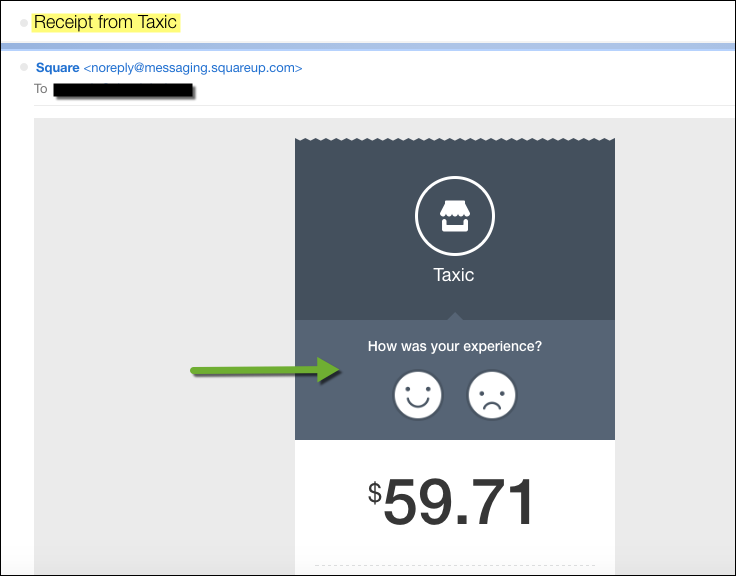 In addition to the ‘welcome email’, here are seven others that are sure to turn emails into revenue. The average cart abandonment during the Black Friday-Cyber Monday weekend in 2015, according to Barilliance study, was 72 percent, a 7% increase from the prior year. 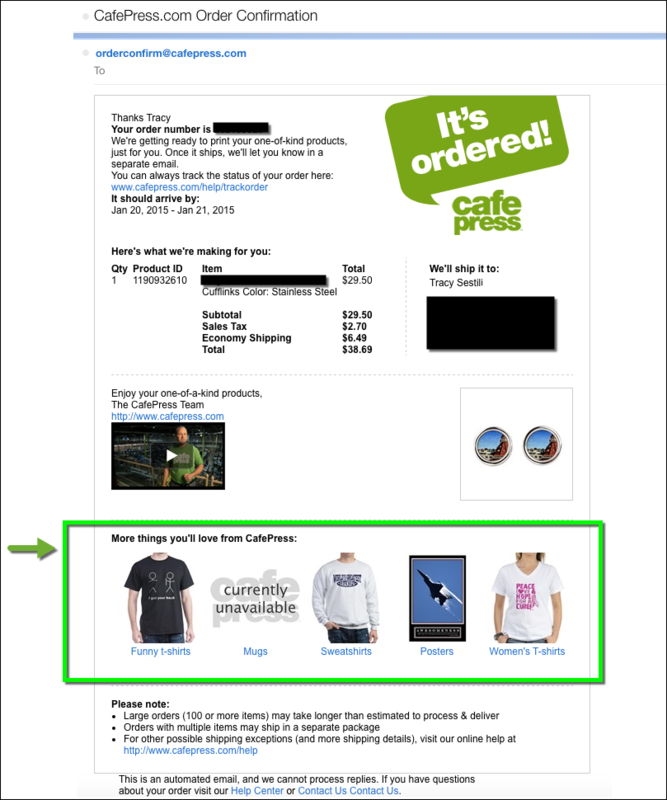 This is money being left on the table that you can reap if you just send a gentle reminder cart abandonment email. Only 35.2% of the 1,000 largest online retailers in North America follow up with at least one email after a customer abandons an online shopping cart, according to a study from Listrak. 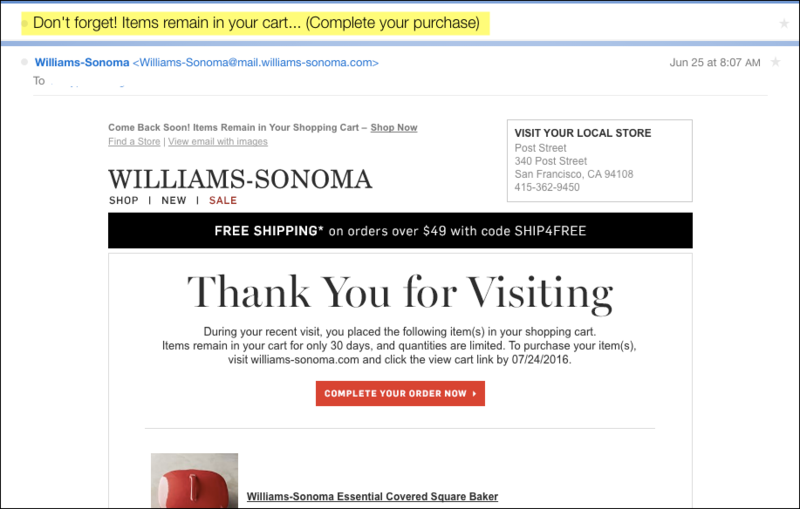 The best types of emails are follow-up emails after a purchase. It keeps the dialogue and engagement going with your consumer. Channel the good feeling they already have after their purchase by asking them to stay in touch or follow your social media channels/blog. Or, encourage them to leave a review of the item after it has shipped. Sometimes life gets busy and you need that reminder of how many days left until the sale ends or a countdown to the big holiday. These are welcomed and pleasant reminders for the ever-connected busy individual. Who doesn’t love to know something they’ve been wanting is now on sale? 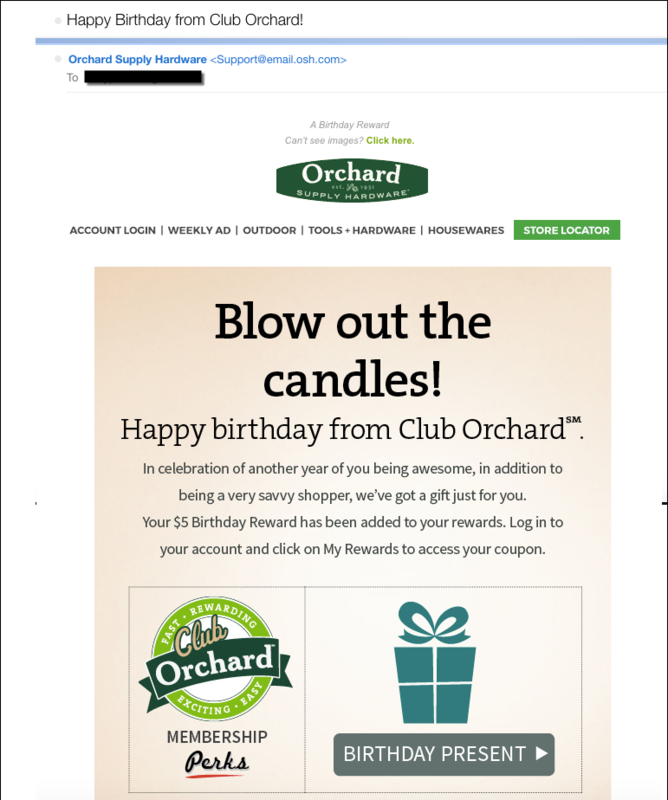 Everyone loves it when someone else recognizes their birthday, even if it’s only to wish them a “Happy Birthday” in an email. You don’t necessarily have to offer a discount, but that’s a nice addition. Simply sending a Happy Birthday message to your customer keeps you hopefully top of mind for the next time they need your product or service. And birthday emails have a 342% higher revenue rate than promotional emails. Most retailers (57%, according to Listrak) feature similar or related products in cart abandonment emails and 42% feature them onsite. Yet there are missed opportunities such as: shipping confirmation emails, back-in-stock emails, post-purchase emails and welcome series, to name a few. Try to incorporate recommended personalized products in as many places as possible to increase conversions, such as on order or shipment confirmations. 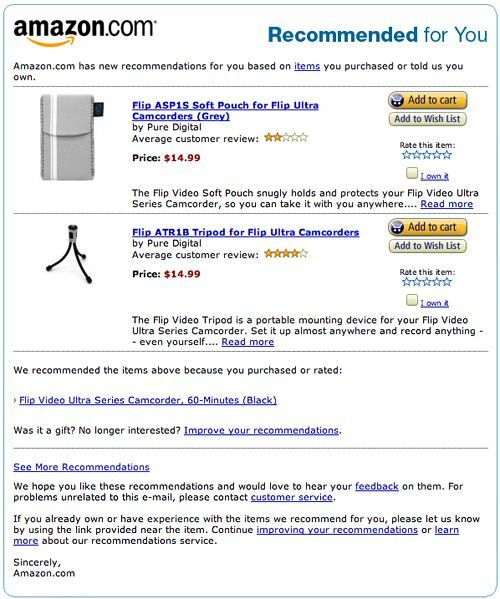 These are enticing reminders to get people back to your e-commerce site and to introduce a relevant product or service to them. 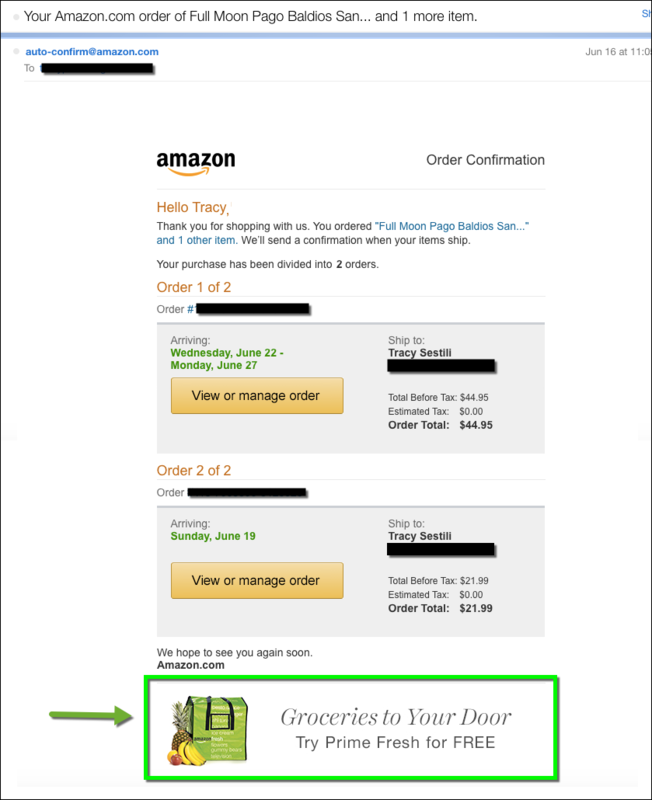 This order below contained olive oil and some other pantry items from Amazon, and they are offering me to try Prime Fresh for free. Receipt emails are also a great place to get feedback. Regardless of the trigger, there are plenty of opportunities to incorporate customer feedback, introduce new products, personalize and build relationships, and be top of mind the next time someone needs your product or service. Isn’t it time to up your email marketing game and take your retail digital strategy to the next level? Great post, Tracy! My favorites are the receipt & order confirmation emails. I’ve had tons of success with those in the past and they continue to be the emails with the highest engagement all around (opens, clicks and conversion/revenue). Sadly though, even though I am telling the truth and not embellishing at all ~ I have actually spoken with several marketers whom just do not believe me when I tell them the conversion revenue from these emails is frequently two, three and even four times the initial conversion revenue from the person’s first order that triggered the confirmation email in the first place. To clarify, it is quite common for a person to have spent $15.00 on an initial order, then upon receiving the order confirmation email containing related or recommended products, they immediately place a follow-up order worth $50, $60 or even $80 additional! This is because most times, we’ve caught the person in a “buying mood,” and the products we are recommending are directly related to the item(s) they’ve already purchased or indicated interest in. If we sweeten the deal by adding an offer like, “Order these related items within the next 30 minutes and receive FREE 2-DAY SHIPPING,” the conversion rate goes even higher. The craziest response I have ever seen with this example was when we used the following: “This week only… Order any TWO of these related items within the next 30 minutes and receive FREE 2-DAY SHIPPING on this order PLUS your previous order (credited at check-out)!” We did this for a 7-day period of time completely disassociated with any holiday or generally-higher-shopping time of the year simply to test the response. We were all amazed (myself included) that the revenue from these follow-up conversions exceeded 600% of the initial order values (ie: $20 initial order yielded a $140.00 subsequent order!) Of course we did eat the shipping cost for those orders so the CPC (cost per conversion) was slightly higher across the entire campaign, however overall ROI was still huge and proved that this method of email was extremely effective. It couldn’t be a permanent everyday type thing, but for a revenue bump from time to time ~ I’d do it again in a heartbeat.